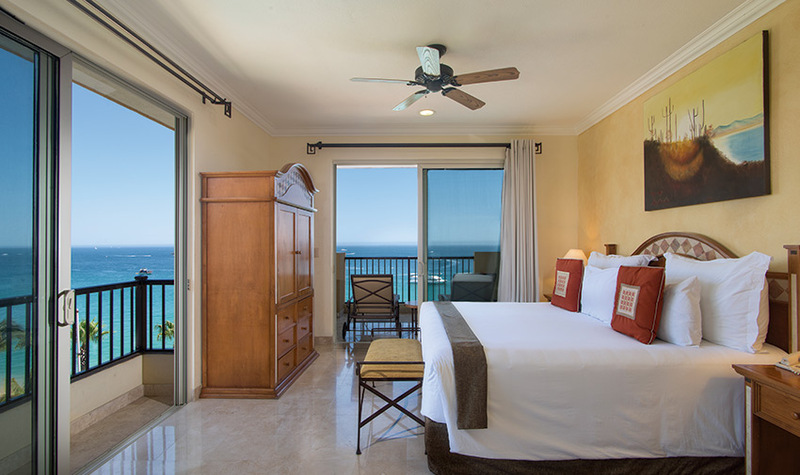 The One Bedroom Suite Garden View at Villa del Arco Cabo San Lucas is perfect for those looking for extra space and lot more privacy. This spacious suites features a master bedroom with a king-size bed and an adjoining bathroom with an indoor jetted tub and separate walk-in shower. The living room has an additional full bathroom and a queen-size Murphy bed for extra travel companions, while the fully equipped kitchen, washer/dryer and expansive balcony with garden views make this suite the total package. 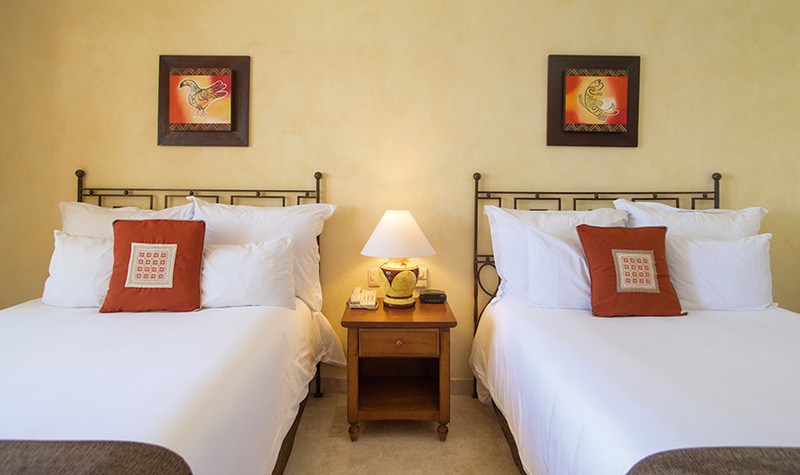 When looking for where to stay in Cabo San Lucas, look no further than the One Bedroom Suite at Villa del Arco. "One of our favorite resorts"
We stayed at Villa Del Arco to celebrate our 30th Anniversary in August. Everything was first class! There was even a Happy Anniversary banner on our door when we arrived and a bottle of champagne was delivered. Our room was very nice! The one bedroom is very spacious and even has two bathrooms!